On Monday, the Hard Rock Hotel & Casino Las Vegas and Clark County renamed a street in honor of Guns N’ Roses. 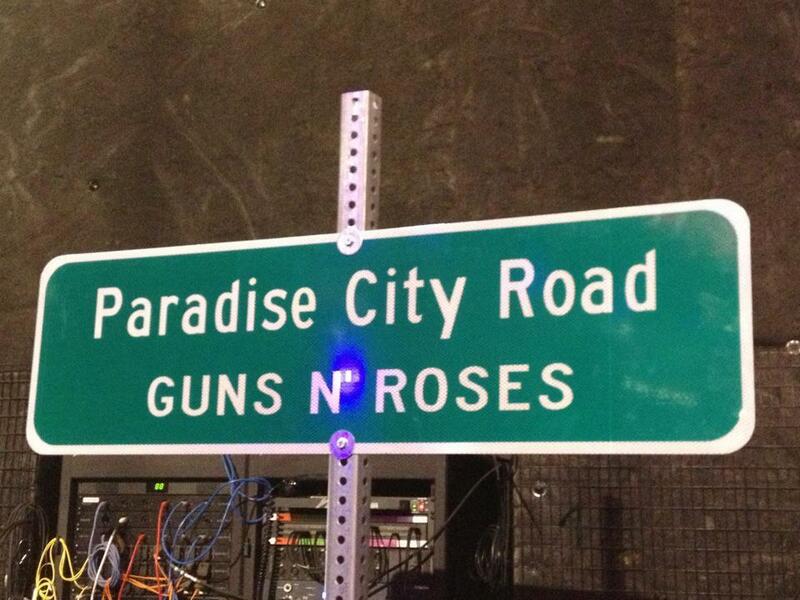 To mark the band’s first-ever residency, “Appetite For Democracy,” at The Joint, Paradise Road is now known as Paradise City Road. The street will remain a GNR tribute through the band’s dozen shows, which run Wednesday, Oct. 31 - Saturday, Nov. 24. 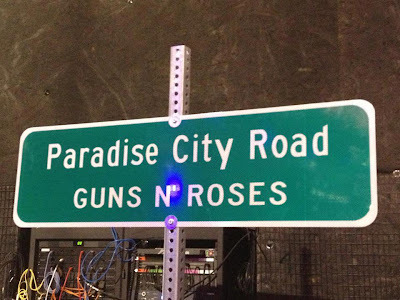 Clark County Commissioner Mary Beth Scow declared the street be temporarily known as Paradise City Road and presented band members with an official street sign. 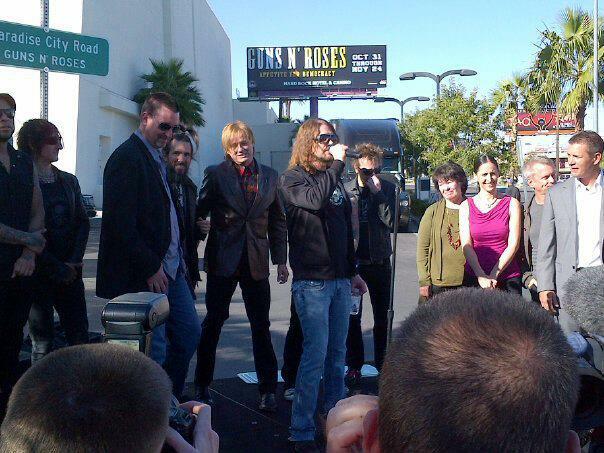 All current GNR members were on hand for the afternoon event, with the exception of leader Axl Rose. GNR are now sharing photos of the Vegas honor. “Appetite For Democracy” will span Guns N’ Roses’ biggest hits - from their debut album “Appetite For Destruction” (1987) through to “Chinese Democracy” (2008). Exact details about the show are being kept under wraps but fans can expect the raw and gritty heavy metal Guns N’ Roses is known for along with a few surprise elements.